Congratulations and Good Luck at the Nationals! 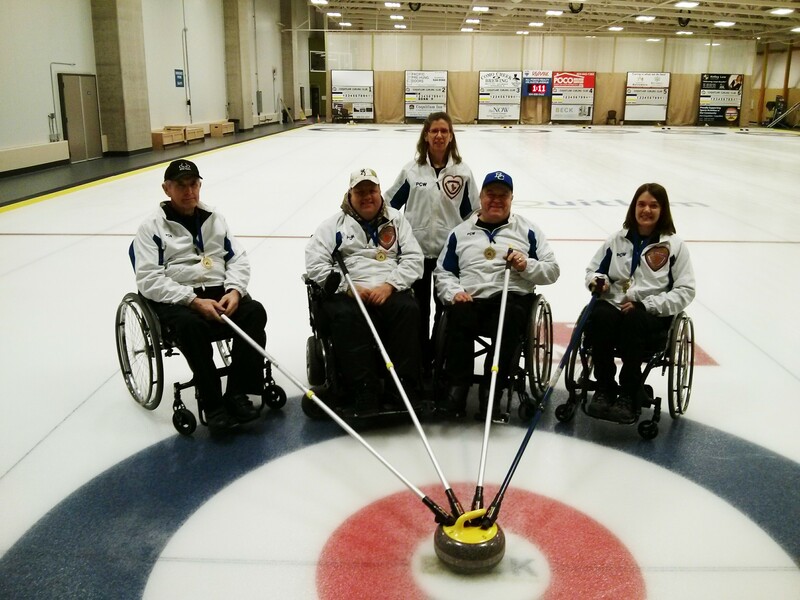 Congratulations to Team Neighbour for winning the BC Wheelchair Chair Championship 2014. Good luck at the Nationals in Montreal. 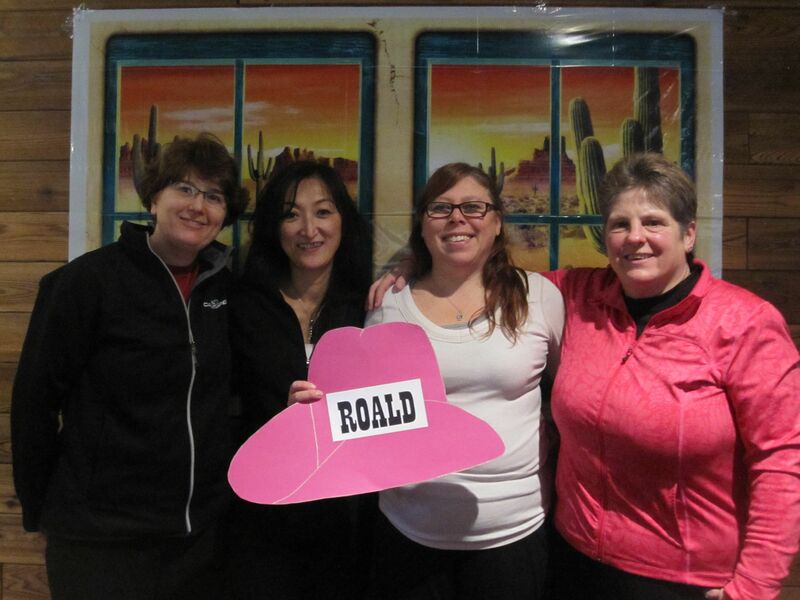 Congratulations and a huge thank you to all who participated in the Marpole Ladies Open Bonspiel that happened on Jan 23rd-26th, 2014. It was a full event with 32 teams including ladies from Seattle and Korea. All teams attended were very appreciated. The committee really worked hard all year long promoting the event wherever they went, wrangling prizes whenever they could and volunteering however they were needed. Cheer and competition overflowed with a lot of fun and great ice. A quick mention that there are 2 unclaimed raffle baskets: Ticket # 40509 and #41567 so check your numbers if you have tickets! THANKS AGAIN EVERYONE AND WE CAN’T WAIT TO SEE YOU AGAIN NEXT YEAR! 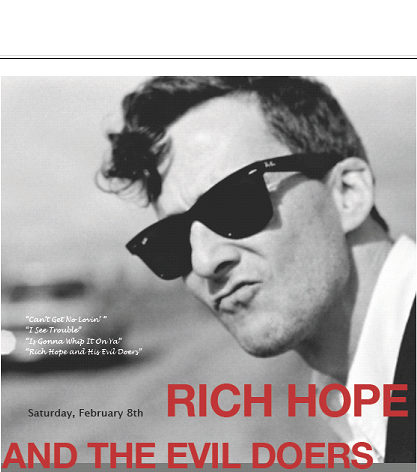 TESAC FUNSPIEL ENTERTAINMENT FEB 8! Marpole’s Dan Magnuson Masters bonspiel was held Jan 13th – 15th, 2014. 24 teams from clubs such as Gibson, Tunnel Town, NSWC and Coquitlam participated. Three teams, led by Bill McNeil, John Anderson and Gary Cormack represented Marpole. The bonspiel was a great success with four draws each of the first two days and two on Wednesday. Many compliments were heard regarding the high quality and speed of the ice and the competition. As always everyone said how much they enjoyed competing at Marpole. For many, it is their favourite venue. 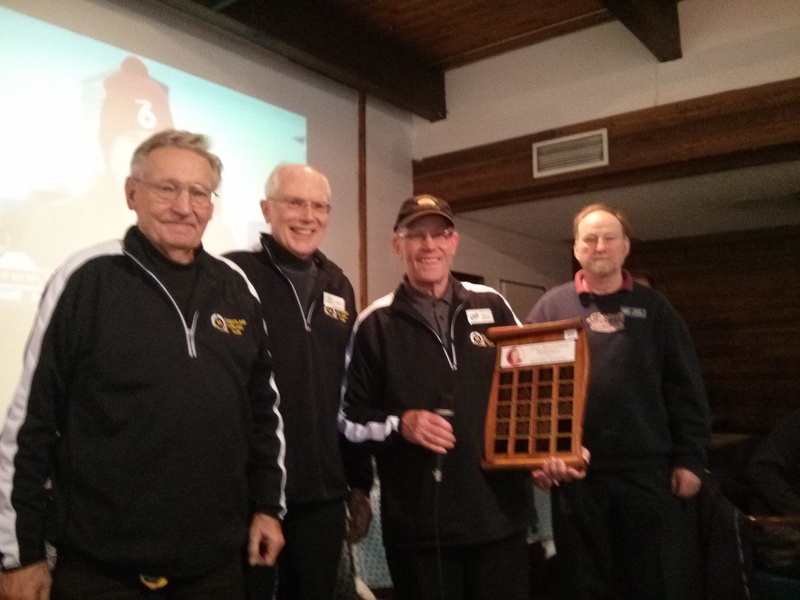 The bonspiel was won by the Coquitlam Curling Club team led by Dale Gregory. Below photo: Paul Froese, lead; Gerry Freeman; second and Dale Gregory, skip. Missing was their third, Don Johnson. Spare Gary Sutcliffe. The Gary Cormack led all Marpole teams with a 3-2 record, good for a sixth place finish. Above Garry Sutcliffe, second;Vince Miel, lead; Gary Cormack, skip and Darryl Neighbour, third.